The convention serves as a platform to showcase the contemporary trends, cutting edge technologies and international best practices in the rapidly growing hospitality Industry. The, thought-provoking, 53rd annual FHRAI covention came to an end with an exhalirating performance by bollywood playback singer Shibani Kashyap. On day three, Harish Chandra, Director of IT, Sarovar Hotels Pvt Ltd threw light on the alignment of IT for the Hospitality sector in his session “How Traditional Hotels Should Survive in Modern World”, which was also the most interesting session of the day. Insightful sessions by Saibal Roy, VP & Head, NCR, Airtel Business on “Guest Experience in a Connected World” and another on “Use of Block Chain, AI was highly appreciated by the audience. A lively discussion on New Evolving Next Gen Technologies in Travel & Hospitality Industry by Mr. Ajith Nayar, Co-Founder and CMO, CamCom kept the audience glued to their seats for the 3rd as the final day of the 53rd FHRAI Annual Convention held at the Ramada Hotel & Convention centre at Lucknow came to an end. 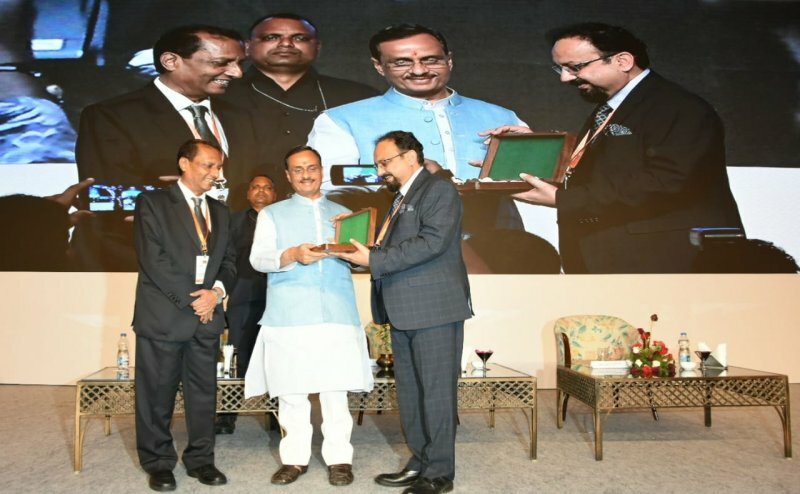 While speaking at the FHRAI Hospitality Awards Chief Guest Dinesh Sharma, Deputy Chief Minister, Government of Uttar Pradesh, said "There are different types of Tourism in India- Eco, Spiritual, Heritage, Ayurveda & Yoga, and based on these some states like Kerala have performed exceptionally well in grooming their tourism Industry and generating revenues. UP Government too has been working on improving Connectivity- both Infrastructure & Digital, across the state to attract investments in Travel & Hospitality segments"
Speaking of Development of tourism hubs, which prominently comprise Ramayan Circuit, Buddhist Circuit, Krishna Circuit, Sufi Circuit, that have diversified the scope of Spiritual Tourism in the State, he further added, "We want to set up such an example in our state that our hotels & tourism business becomes the foremost sign of development of UP". A consensus among the hospitality industry also came to light where all agreed that technology is enabling business. Perception of technology has to change depending on the demographics and geography of the Hotel. Use of Block Chain, AI and next gen technologies could be deployed in Travel & Hospitality Industry, but simultaneously also avoiding the breach of privacy. Garish Oberoi, President, FHRAI asked the industry’s longstanding demand for infrastructure status for projects worth Rs 25 crore and above as well as for creating the right infrastructure to increase the footfall of high-spending tourists. The Minister then presided over the coveted Annual FHRAI Awards which was followed by a cultural evening performance by renowned Bollywood singer, Shibani Kashyap. Themed on Spiritual & Wellness Tourism, the Annual Convention has already seen an excellent opportunity for the delegates from across the country networking with top policy makers, captains of industry, top notch entrepreneurs, global experts and distinguished representatives from civil society. Around 1400 delegates from India and abroad attended the Convention, which included prominent hoteliers and all major stakeholders from the Tourism and Hospitality Industry. The convention serves as a platform to showcase the contemporary trends, cutting edge technologies and international best practices in the rapidly growing hospitality Industry. The convention will provide the significant forum in the country for its innovative ideas. Federation of Hotels & Restaurant Association of India” (FHRAI) is the apex body of the Indian hospitality industry representing hotels, restaurants and associates, spanning the length and breadth of our vast country. Founded in 1955 by the legendary hotelier Rai Bahadur M.S. Oberoi, the organisation has diligently built on its glorious legacy and is today recognised as the pre-eminent national voice of our industry and is also proud to have played a seminal role in shaping the growth trajectory of India`s vibrant tourism sector. FHRAI enjoys the distinction of the being the third largest Hotel & Restaurant Industry Association in the world.” For further details please visit www.fhrai.com.